Delaware County fairgoers will see many improvements this year to the fairgrounds due to a 3 percent, five-year bed tax approved by voters in 2016. The two brown eyed ladies posed to have their photo taken during the 2017 Delaware County Fair. Delaware County’s five-year, 3 percent bed tax has collected $2.9 million in revenues as of April 16, according to Deputy County Administrator Seiji Kelli. Approved by voters in the March 2016 primary election, the tax began being imposed throughout the county, regardless of municipal boundaries, on May 6, 2016, on all hotel and lodging businesses. The lodging tax has far exceeded original revenue estimates of $200,000 annually that was projected in a pamphlet from “Friends of Your Delaware County Fair,” which was used to educate voters. The tax wasn’t solely written to benefit the fairgrounds of Delaware County. “There were five other counties’ bed taxes included in the amendment,” Brenner reported to The Gazette in 2016. The tax is earmarked to fund improvements to the Delaware County Fairgrounds’ buildings, facilities and infrastructure. The fairgrounds were constructed in 1938, making many of the structures 80 years old and in need of repairs, while also being brought up to current building codes. 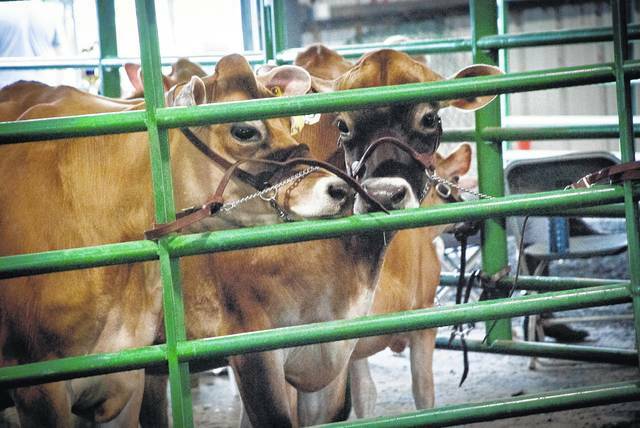 In a press release last week, Sandy Kuhn, Delaware County Fair manager, updated county residents on the improvements being made to the fairgrounds since the tax was enacted two years ago. Kuhn states in the release that the Delaware County Agricultural Society (DCAS) Board of Directors is working to finalize a comprehensive plan outlining the use of tax revenues. She said the plan includes buildings that stay and what improvements they are to receive, which buildings will be demolished, and the location of new buildings to be built. Kuhn told The Gazette that the survey work, engineering, and architectural work have begun for the building, and the board is working with the city to roll all the required permits into one package so it doesn’t have to go back a second and third time. According to the release, the final architectural plans for the building are not finalized, but when they are complete, the board will share them with the neighbors and county residents to provide a picture of the new building. According to the press release, improvements made in 2017 include the lighting in the Merchant’s Building and under the grandstand, a new tote board on the infield of the track, and a fresh coat of paint under the grandstand and on the Arts and Crafts Building. Two of the larger projects funded by the bed tax was the installation of new fiber optic phone lines and new water lines. The new fiber optic lines “saved over $20,000 per year in phone and internet bills,” Kuhn said. Kuhn added DCAS has worked with the county commissioners and City of Delaware to help fund the first two phases of new water line installations. Kuhn said security cameras have been added to the fairgrounds to improve security and safety during the fair and throughout the year, and work is being done to get the proper zoning for the fairgrounds. The 2018 Delaware County Fair will be held Saturday, Sept. 15 through Saturday, Sept. 22, and the 73rd edition of the Little Brown Jug will take place on Thursday, Sept. 20. For more information on the Delaware County Fair and Little Brown Jug, visit delawarecountyfair.com or littlebrownjug.com. This entry was tagged D. Anthony Botkin, delaware county fair, Kuhn, Little Brown Jug. Bookmark the permalink.